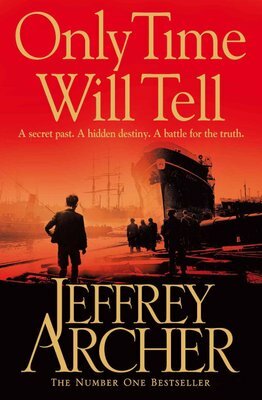 The Clifton Chronicles is Jeffrey Archer’s most ambitious work in four decades as an international bestselling author. 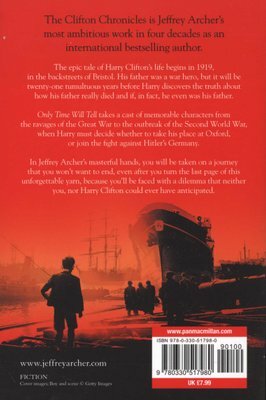 The epic tale of Harry Clifton’s life begins in 1920, with the chilling words, ‘I was told that my father was killed in the war’. But it will be another twenty years before Harry discovers how his father really died, which will only lead him to question: who was his father? 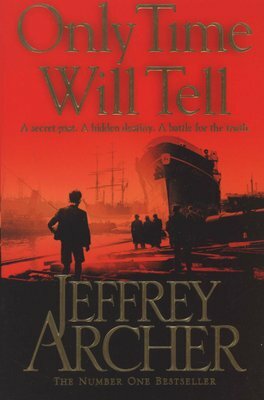 Is he the son of Arthur Clifton, a stevedore who worked in Bristol docks, or the first born son of a scion of West Country society, whose family owns a shipping line? Only Time Will Tell covers the years from 1920 to 1940, and includes a cast of memorable characters. Volume one takes us from the ravages of the Great War to the outbreak of the Second World War, when Harry must decide whether to take up a place at Oxford, or join the navy and go to war with Hitler’s Germany.